My Khe Beach – Is It Really One Of Charming Beaches On The Planet? 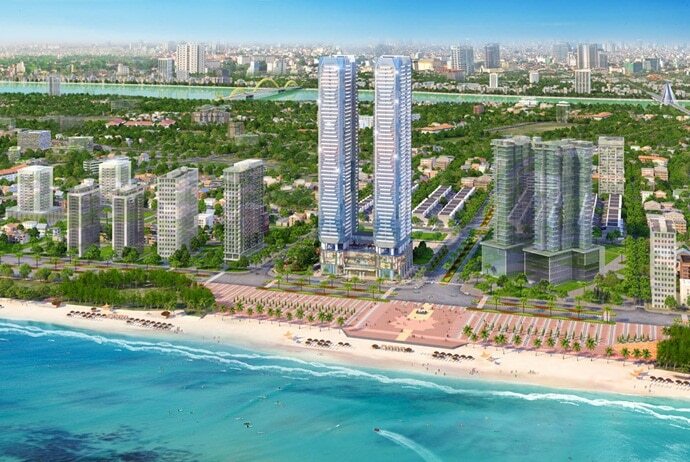 Home » Vietnam Travel » Da Nang City » My Khe Beach – Is It Really One Of Charming Beaches On The Planet? Selected by Forbes magazine as one of the six most charming beaches on the planet, My Khe (Mỹ Khê) Beach – Danang (Đà Nẵng) has quickly become a hot tourist destination in Vietnam that attracts many domestic and foreign tourists. This beach is considered as the most picturesque beach of Vietnam. 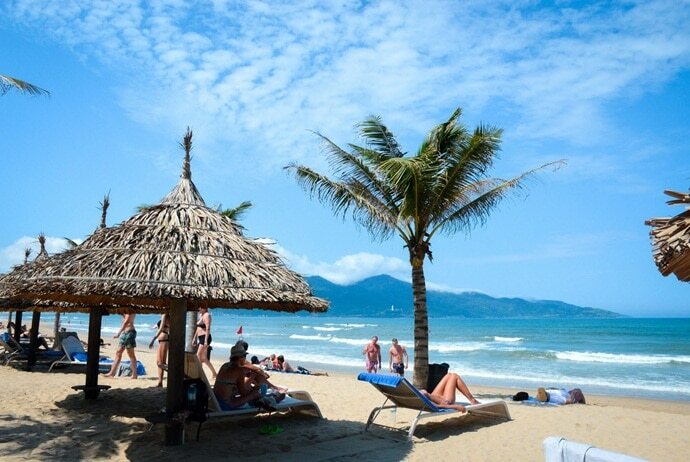 With a sandy stretch of about 20 miles, My Khe beach is an excellent tourist destination off shores of Danang and famous for its smooth white sand, blue sky, gentle slope, and warm and clear water all year round. Visiting this beach, you can also witness other beautiful areas surrounded by coconut trees. That is also why The Sunday Herald Sun Of Australia praised My Khe beach as one of 10 most popular beaches in Asia. My Khe beach is really an ideal and safe site for adults and children to swim due to a large of large waves and warm water. The sunrise scenery at My Khe is also magnificent that makes tourists irresistible to staying close to the beach so as to enjoy such stunning view. In addition to the long stretch of white sand, there are also luxurious restaurants and hotels, and world-class beachfront resorts. Really, the Mother Nature has endowed Danang coastal city with the stunning and unique beauty of My Khe beach. This beach is a perfect place for swimming, sightseeing, taking photos, and relaxing. If you are planning a vacation in My Khe Beach, we will help you to synthesize the most detailed travel experience so as to have a smooth journey. What Is The Best Time To Visit My Khe Beach? Summer months, especially from April to September, are the best time for you to travel to My Khe Beach because the weather during these months is great. You should avoid the time when there are too many tourists, such as the duration of 30/4 -1/5. If you go with the whole family or if you do not like the noise, June and July are the perfect time to go to this beach. How To Get To My Khe Beach? My Khe Beach lasts 10km from the base of the Son Tra peninsula (Bán Đảo Sơn Trà) to the Marble Mountain (Ngu Hanh Son (Ngũ Hành Sơn)). It is only 5km from Danang city center and 25km from Hoi An (Hội An). Danang is located in the center of Vietnam and has airports and seaports. The national Highway 1A also passes through this city, so traveling to Danang becomes very easy. You can get to Danang by plane, train or coach along the north-south route. From Hanoi to Danang, fares range from 600.000VND to 2.200.000VND, depending on the airline. It takes 1 hour and 30 minutes to get to Danang. The same goes for the flight from Saigon (Sài Gòn) to Danang. 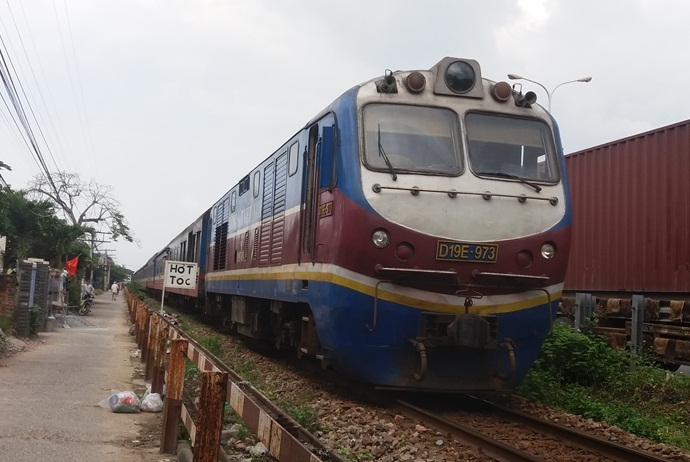 From Hanoi or Sai Gon, there are train routes to Danang (north-south route), fare varies from 300.000VND to VND 1.200.000VND depending on the type of train and seat. It takes from 14 to 20 hours to travel from these two cities to Danang by train. The ticket price of the coach from Hanoi or Saigon to Danang is from 400.000VND to 500.000VND. From Hanoi, you can take the coach at Giap Bat (Giáp Bát) or Nuoc Ngam (Nước Ngầm) Bus Station. From Saigon, you can take the coach at the Mien Dong Bus Station. It takes from you about 18 to 20 hours to travel from these two cities to Danang by coach. From the center of Danang city, go straight in the direction of Han River bridge (Cầu Sông Hàn), then turn to Pham Van Dong (Phạm Văn Đồng) Street and go about 1.5km to reach My Khe beach. Where To Stay In My Khe Beach? My Khe beach is a popular tourist destination, so there are many resorts, motels, and hotels for visitors to choose from. This beach has a number of luxury resorts as well as international standard villas. The deluxe resorts, five-star hotels, and modern restaurants gather here to offer travelers highly comfortable conditions to relax and enjoy the life. Your trip to My Khe beach will be much more perfect if you choose to stay at one of beautiful resorts situated along My Khe beach, with special cuisines, modern services and reasonable prices.. However, to avoid finance and safety issues, you should make reservations before departing. A booking experience in My Khe that we recommend is to book online on reputable sites like Agoda or Booking. At present, these sites are promoting from 10% – 30%, so you can freely choose the hotel with low cost and good quality at My Khe beach. What Are Attractions In My Khe Beach? Being close to the center of Danang city, tourists are very convenient to have fun at My Khe beach. Besides, the romantic space with the surrounding coconut trees, the blue sea water, and the white sand of this place will definitely bring you different feelings. Along the My Khe Beach, the rescue force system is always on the watchtowers. In addition, life buoys and flags signaling whirlpools will help visitors can rest assured while swimming and playing. This beach is located at the junction of Pham Van Dong Road, cutting the coastal road from Son Tra to Dien Ngoc (Điện Ngọc). The beach is quite compact because it only serves for the park’s activities. It is the beach which is earliest formed, so visitors who used to visit Danang in the past often think this beach as My Khe beach. It is close to the Non Nuoc Beach (Bãi Non Nước), where an international surfing tournament was held. T20-T18 Beach is very suitable for young people who like the thrills because the beach waves are often very large. It is the main beach of My Khe. Therefore, it is fully invested with exciting entertainment and restaurant services. Moreover, 1-2-3 Beach has wide and long sand stretches, gentle coastline, and few waves. Therefore, it is an ideal destination if you go with children or the elderly. What Are Exciting Activities At My Khe Beach That You Should Not Miss? In the morning, if you do not try to wake up early to see the sunrise in My Khe Beach, you will miss a very wonderful experience in your life. You just need to sit and enjoy the beauty of the dawn with the glittering golden light on the sea. Thanks to a large beach space as well as slight waves, My Khe beach is very convenient for tourists to play many types of sports or take part in some activities like water-skiing, fishing, volleyball, parachute, sunbathe, yacht race, diving, etc. Moreover, abundant services are also found in My Khe beach, which create excellent conditions for tourists to relax on seashores, including hotels, motels, restaurants, sunshade, bouy lease, etc. Or you can actively explore the fish market adjacent to the beach. It is one of the memorable experiences that visitors should enjoy. Daily, at 4:30 am, the fish market has become very bustling. At 7 am, the sun has risen, and you can jump into the sea and enjoy the feeling of the sea to stir up your body. In the afternoon, you can enjoy the sea bath and take pictures with the tide down. In addition, you can also take part in exciting activities such as windsurfing, parachuting, volleyball, and jogging. At night, after a day of fun, you and your family can take a stroll on the beach and breathe the fresh air that the ocean gives My Khe beach. Not only that, but you can also camp right on the beach. A small beach party with friends in the sound of the guitar and the waves will be an unforgettable experience. What To Eat In My Khe Beach? At My Khe beach, there are many seafood restaurants looking over the sea, so you can enjoy seafood while listening to the sound of waves and cool breeze. It will be a big shortcoming if you forget to enjoy specialties in My Khe Beach like crabs, fish, shrimps, and cuttlefish to name a few. People who want to have a meal in a luxurious space can choose from many high-standard restaurants in seaside resorts. Nonetheless, if you want to enjoy your meal at a poetic space like at sunset, then you should spend your meal in one of local food outlets. In such restaurants, you can easily choose seafood which is laid like in the real market. You can also buy the raw seafood and decide how they are cooked. While the foods are tasty, their price is reasonable as well. Because seafood such as shrimp, crab, crab, and squid are fresh and processed in place, so their taste are very special. If you want to buy fresh seafood to cook your own food, you should go to the Han River Market. 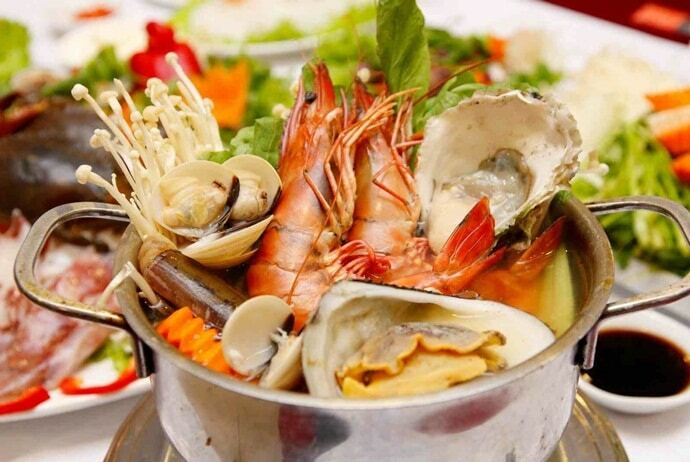 There are many kinds of fresh seafood which are sold at reasonable prices. In brief, My Khe beach is ideal for those people who are looking for a luxurious beach to enjoy their holiday. Some features making this beach an attractive destination for travelers include easy traffic as well as access, flat and long sand shore, free admission for travelers, high-class resorts, convenience for water sports and international standard villas. The tips and tricks above hopefully have helped you prepared yourself the best to have the safest and most economical journey. Believe me, once visiting Danang and My Khe beach, you will not regret and want to come back more times due to its charming beauty, friendly people, authentic cuisine, etc. Wish you have a fun trip! If you have any questions, please leave a comment, we will reply as soon as possible.